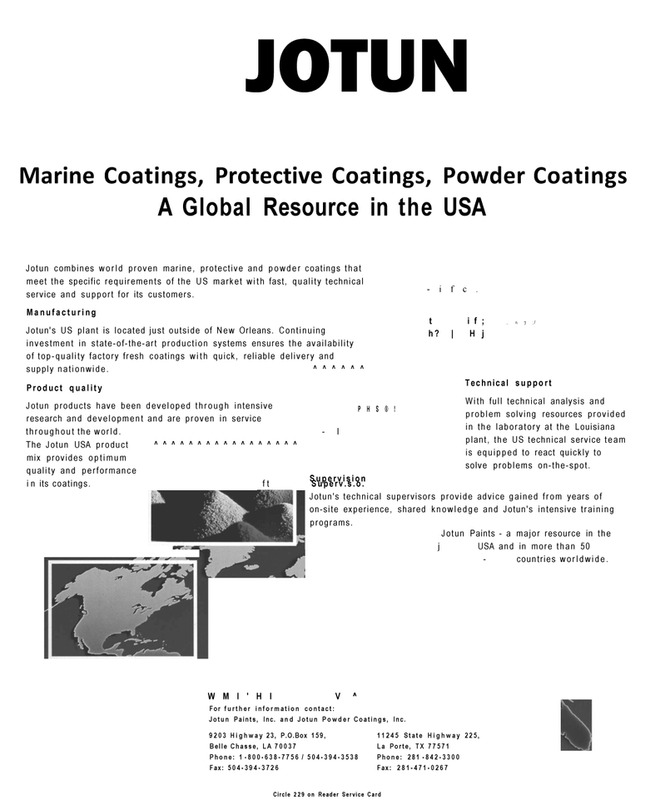 Jotun combines world proven marine, protective and powder coatings that meet the specific requirements of the US market with fast, quality technical service and support for its customers. With full technical analysis and problem solving resources provided in the laboratory at the Louisiana plant, the US technical service team is equipped to react quickly to solve problems on-the-spot. Jotun's technical supervisors provide advice gained from years of on-site experience, shared knowledge and Jotun's intensive training programs. Jotun Paints - a major resource in the j USA and in more than 50 - countries worldwide.